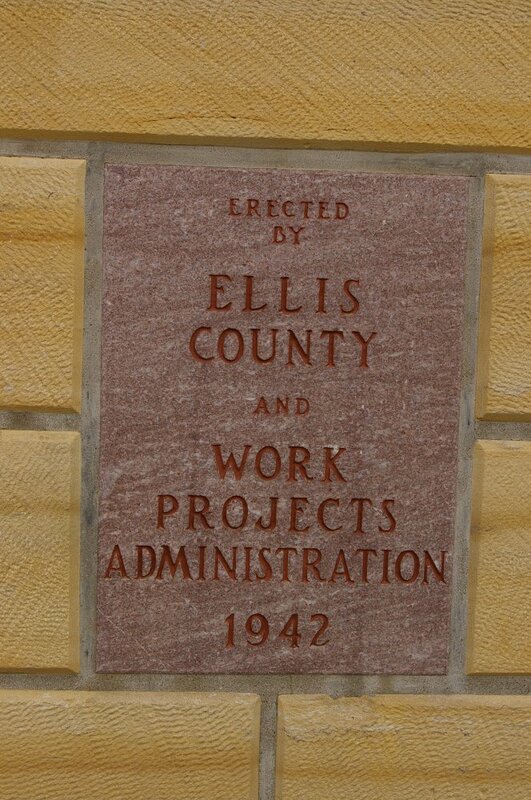 Ellis County is named for First Lieutenant George Ellis of company I, twelfth Kansas infantry, who was killed on April 30, 1864 at Jenkins Ferry, Arkansas. 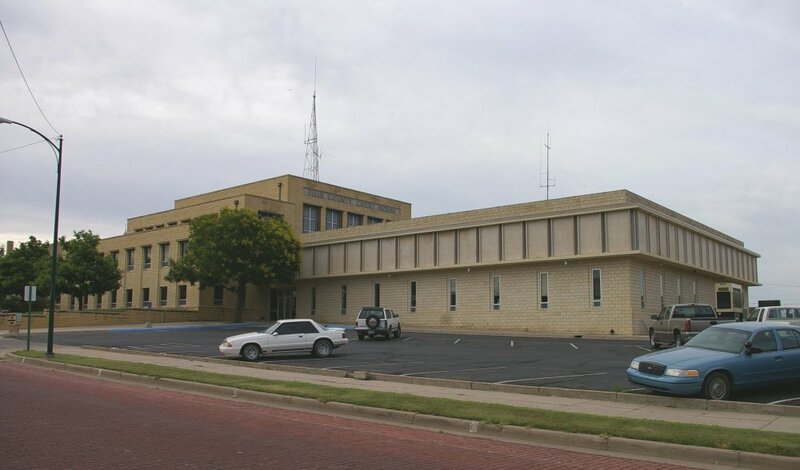 Description: The building faces west and is a two story yellow colored brick structure. The recessed center section rises above the north and south sections. Three long vertical windows are above the entrance canopy on the west side with long narrow windows on either side. The roof line is flat. The building was a Work Projects Administration project. 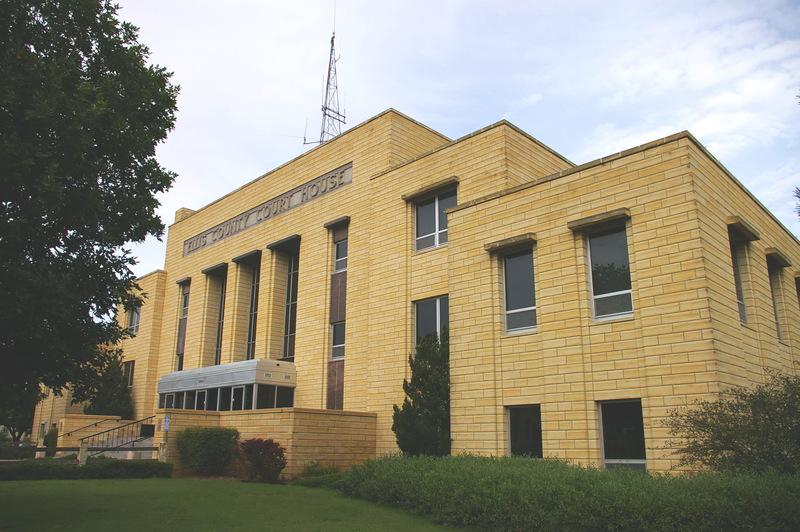 Note: The previous courthouse was designed by C W Squires in 1898. 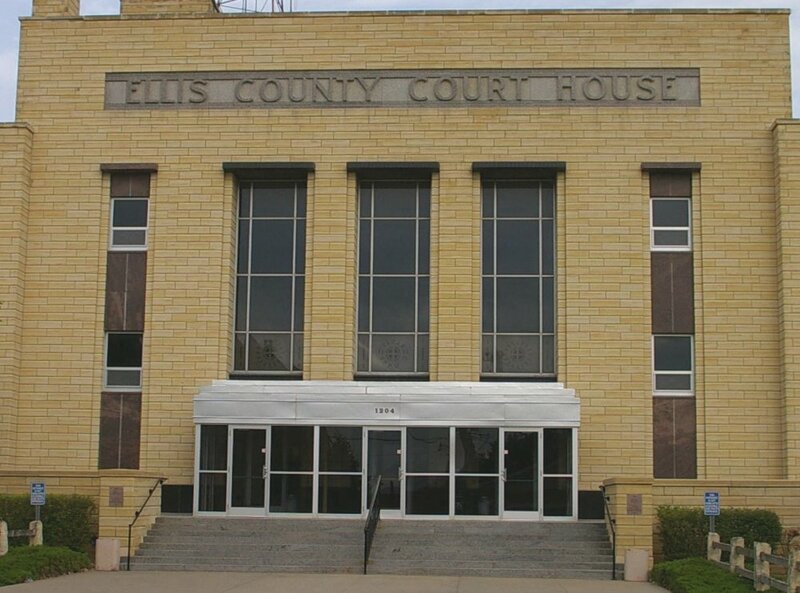 See: The architect, Mann & Company of Hutchinson, designed courthouses in Ellsworth County, Graham County, Lane County, Pratt County, Republic County, Scott County, Stafford County and Stevens County. 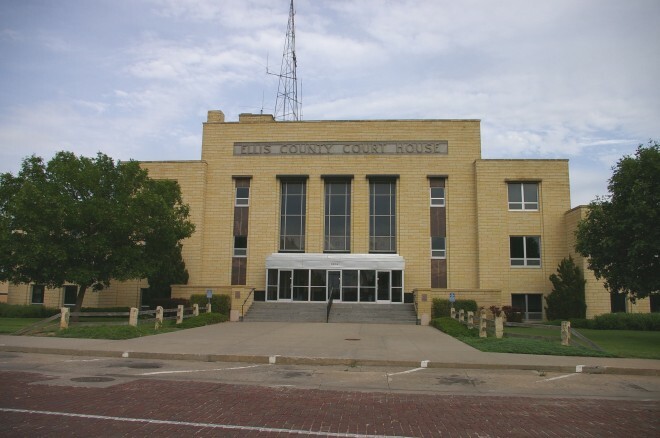 See: The other courthouses in Kansas which were constructed with federal government funding under WPA and PWA are located in Jewell County and Kearny County.